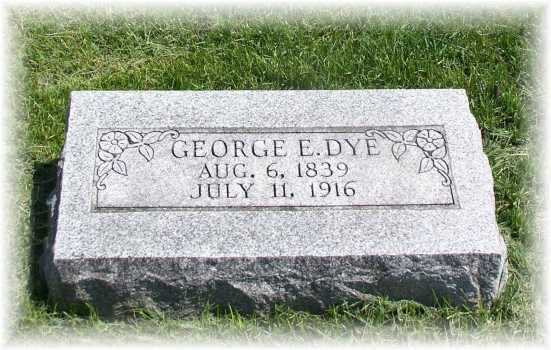 George E. Dye, a retired farmer and merchant of Auburn, Nebraska, dates his birth in the Empire state, in Yates County, August 6, 1839. Mr. Dye’s father, William Dye, was born in Madison County, New York, about 1803, and died in Madison, Wisconsin, in the spring of 1865. He was a son of John Dye, a native of Rhode Island, whose death occurred in New York state about the year 1843. 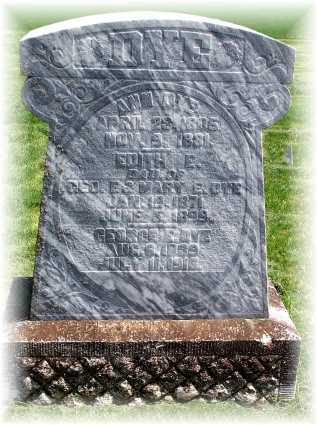 Both John Dye and his wife were buried in Cazenovia, New York. She, too, was a native of Rhode Island and her maiden name was Rhodes. They were the parents of nine children, eight sons and one daughter. The daughter died in early womanhood. The sons were James, Daniel, John, Walter, Rouse, William, Nathan and Enoch. All married and all except Walter had children. Four of these sons were Baptist ministers and the other four were deacons in the Baptist church, and all lived to good old age. William Dye was a minister, and New York and Wisconsin were the fields of his labors. He married Miss Ann Bailey, who was born in New York State in 1805, and who survived him a short time, her death also occurring in Wisconsin. They were the parents of five sons and two daughters, namely: Julia, who died at the age of twelve years, in Seneca, New York; William Henry, a harness-maker, located in Ottumwa, Iowa, is married and has a daughter and one son; Nathan P., who died in Nemaha county, Nebraska, in the prime of life; James R., a retired resident of San Diego, California, has two daughters; Mary E. married a cousin by the name of Dye, both being deceased, and they left one daughter. The next in order of birth was George E. The youngest, Charles L., died at the age of four years. George E. Dye was educated in the common schools of his native state. He removed with his parents from place to place, where his father was engaged in the work of the ministry, and he remained a member of the home circle until 1862. In August of that year, at Whitewater, Wisconsin, he volunteered for service in the Union ranks and entered the army as a musician in Company D, Twenty-eighth Wisconsin Volunteer Infantry. The fortunes of this command he shared for three years, meantime being promoted to the leadership of the regimental band. He was a non-commissioned officer of the staff. At Helena, Arkansas, he was ill with typhoid fever and he also had a serious illness at Pine Bluff, Arkansas, and when he returned to Wisconsin at the close of his service in 1865, it was with health much impaired. A well built man and with a fine constitution naturally, he in time recovered his health, and has since led an active, useful life. The exposures incident to war, however, seldom fail to leave their effects. Now, although still active in mind and body, Mr. Dye is a sufferer and is somewhat crippled from rheumatism. In 1869 Mr. Dye removed from Whitewater, Wisconsin, to Nebraska and settled in Nemaha county. His first land purchase here was eighty acres, for which he gave $7.50 per acre, and which he sold in 1881 for the sum of three thousand dollars. 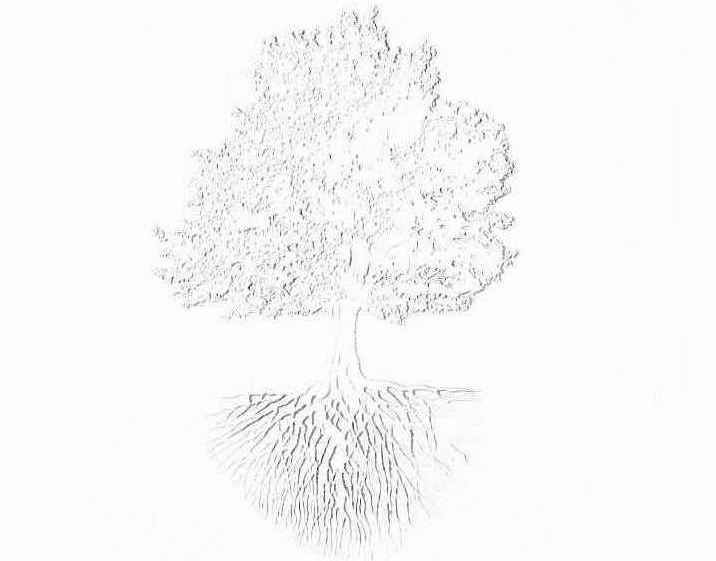 He then bought one hundred and thirty-one acres, at a purchase price of two thousand six hundred dollars, and later added thirty-four acres, a part of which he has since disposed of. He moved to Auburn in February 1901, and bought his present home. He also owns other property in town, including the building occupied by the post office. Mr. Dye married, in March 1866, Miss Mary E. Grant, a native of Jefferson county, Wisconsin, born in 1847. She is a distant relative of General Grant. Willard Grant, her father, was a man well known in Jefferson county. He was a mechanic, teacher and farmer, and served at different times in various public offices, township and county, and he was also elected to and served in the Wisconsin state legislature. Mrs. Grant was Miss Sarah Dye, she being a daughter of Mr. Dye’s uncle, James Dye. In the Grant family were seven children, of whom six are now living. Mr. and Mrs. Dye have had five children, as follows: Charles G., who is married and resides on a farm in Nemaha county; Edith E., who died at the age of twenty-six years; and Jessie V., Anna Blanche and Emery G., at home. The two daughters are graduates of the Auburn high school. All the children have inherited talent for music. The daughters are music teachers and the younger son is coronetist in the Auburn band. Mr. Dye is a musician and for many years was a leader and teacher of bands. Mr. Dye was formerly a Republican, but recently has been an independent in his political views, voting for men and measures rather than keeping close to party lines. He has membership in the Ancient Order of United Workmen and in the Grand Army of the Republic, being identified with Carley post, No. 173, of which he is senior vice commander. Mr. Dye was a very active man for one of his age. For a long time he was night watchman on the hill, and accomplished a task that would have been impossible for most men twenty years younger than he. He had a very pleasing personality and was probably liked better than any other man in the community. His death leaves a great void in many lives and he will be sadly missed by hundreds of friends. The funeral will take place today (Thursday) at his home in Auburn at ten o’clock a.m. Rev. Ritzen of the Evangelical Lutheran Church will conduct the services and interment will be in Howe cemetery. and Friends and Relatives Gathered to Celebrate. at their home 2115 K Street on Wednesday. At that time their children and other relatives, besides many friends gathered to congratulate them and pay their compliments. For Mr. and Mrs. Dye are very highly respected people. They came to Nebraska three years after their marriage and located first on a farm near Nemaha where the continued to live until 1893 when they moved to Auburn. earlier days were especially prominent in musical circles. They were known all over this part of the county because of their abilities and their services as entertainers were always in demand. They are still lovers of good music, which was supplied abundantly in their honor. on the occasion of their golden wedding anniversary. Group pictures of the family and guests were also taken during the afternoon and it was a happy occasion for everyone. One of the guests was Mrs. Sarah Grant, mother of Mrs. Dye. possessed of all her faculties. It is an unusual thing for a mother to be present at the golden wedding anniversary of her daughter. One of the pictures taken was that of Mrs. Grant and her youngest great-grand child, there being nearly ninety years different in their ages. Miss Blanche Dye of this city. Mr. and Mrs. Dye have spent many years in this community. of their regard then mere words, the guests presented the bride and groom of fifty years ago with a number of very beautiful gifts. long continue to share the companionship of each other.